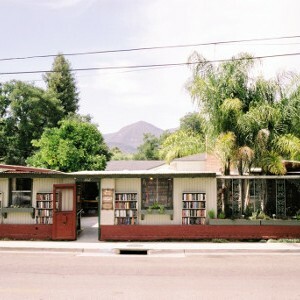 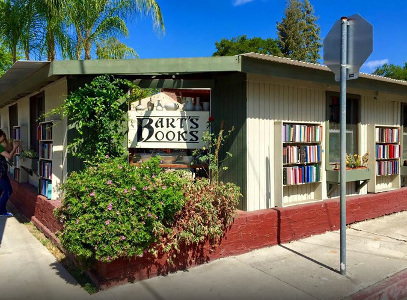 Representing an Ojai tradition, Bart’s Books was established in 1964 by Richard Bartinsdale. 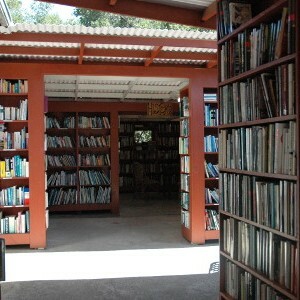 What makes this bookstore special, is that it is mostly an outdoors bookstore, as well as most books being available to purchase at all hours, since customers can drop coins into the door’s coinbox whenever the bookshop is closed – these books are known as the “thirty-five cent specials” and line the outside walls. 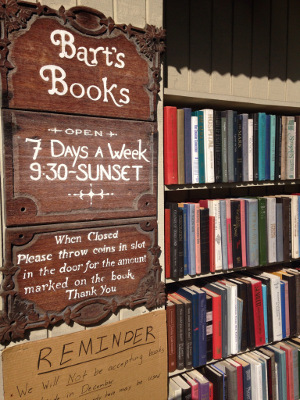 This honor system derives from the way in which the original Bart left coffee cans on top of the bookcases instead of the traditional cash register. 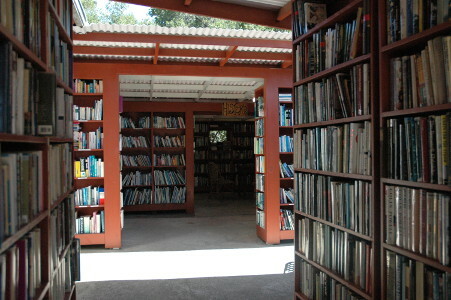 In contrast to these crazy cheap prices, there are also out-of-print first editions, rare books and art books valued for thousands of dollars inside. 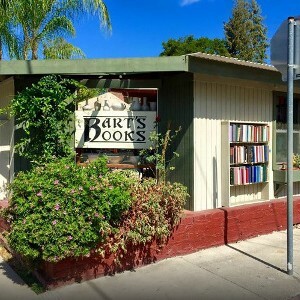 Due to its unusuality, Bart’s Books attracts people worldwide, and has gained recognition for being USA’ largest independently owned bookstore operating outdoors. 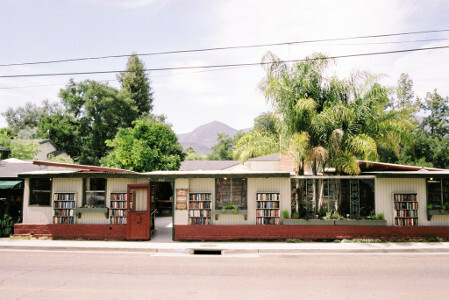 The bookstore has even featured in the popular movie ‘Easy A’ in 2010! 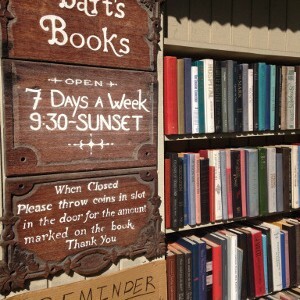 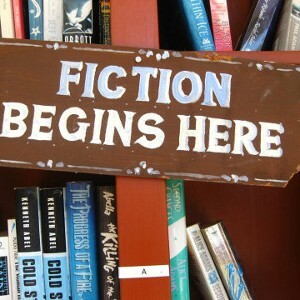 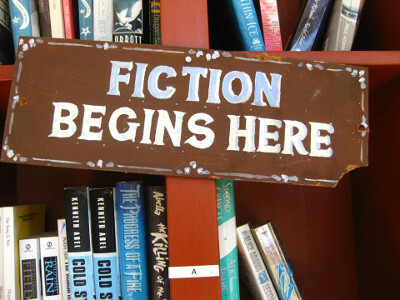 Don’t miss the chance to visit this one-of-a-kind bookstore, with its huge inventory and fantastic prices.